Whiteboard animation is one of the most popular forms of animated video out there. It’s simple, doesn’t take a huge amount of time to produce and doesn’t cost the earth. Find out why all sorts of businesses are jumping on the whiteboard bandwagon and not looking back! Whiteboard animation is a style of 2D animation production that tries to recreate the aesthetic of someone drawing a series of pictures on a whiteboard. 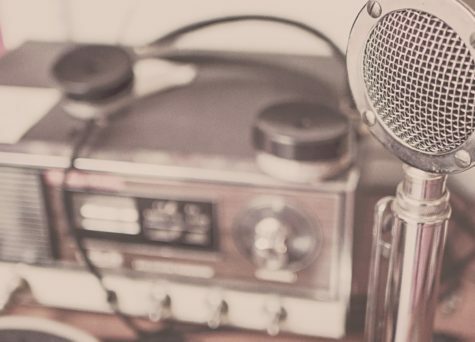 They usually consist of a minimally animated series of graphics accompanied by a vocal track that explains, pitches or educates you. You’ve seen a whiteboard before, right? It’s like that but turned into a video with loads of different frames and narration over the top. It used to be that these were made using a real whiteboard, a downwards facing camera and a sweating animator with a stack of marker pens having to draw out each frame by hand in a stop-motion style. Thankfully it’s gotten a little more technical nowadays! 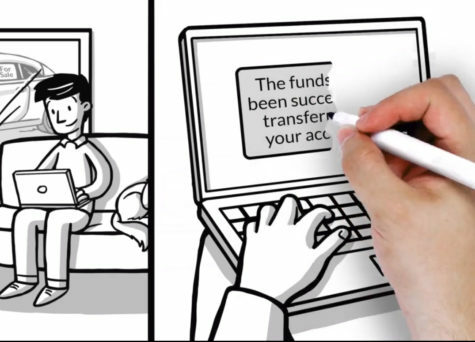 Modern whiteboard animation is produced on a virtual whiteboard, with images of hands and pens which are animated over the digital visuals in such as way as to mimic drawing and erasing them. This modern method creates a video much more quickly and you end up with a clean, professional finish. Why is Whiteboard animation great for businesses? 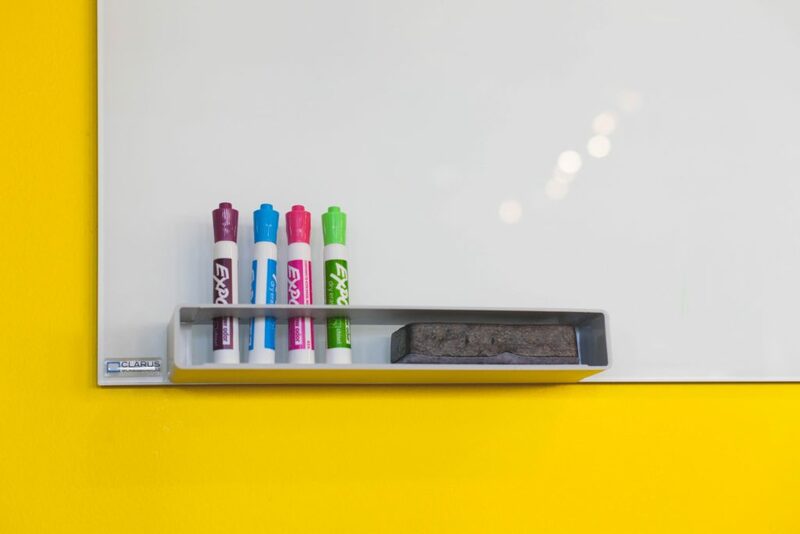 Whiteboards have been doodled on for centuries as a way to explain complicated concepts or ideas in a simple way. It should come as no surprise that this method still hits it out of the park today! They’re a perfect example of an animated explainer video: an animation which is made to communicate a complex idea, product or service in an interesting and different way. These videos are amazing at grabbing attention, prompting information retention and for inspiring action in the viewer. They work great for product launches, pitches, adverts, training, company profiles – all sorts. They’ll happily sit on a landing page, social feed, event stand, training session, and anywhere else you care to stick them. Other than for academic purposes, B2B and B2C businesses can both use whiteboard animation to great effect. For B2B, animated video is a perfect method of explaining complex or technical value propositions to your clients. When at one time they’d switch off when assaulted by a dense pitch of your services, they’re now more likely to be engaged by an animation that’s different, fun and worthy of notice. 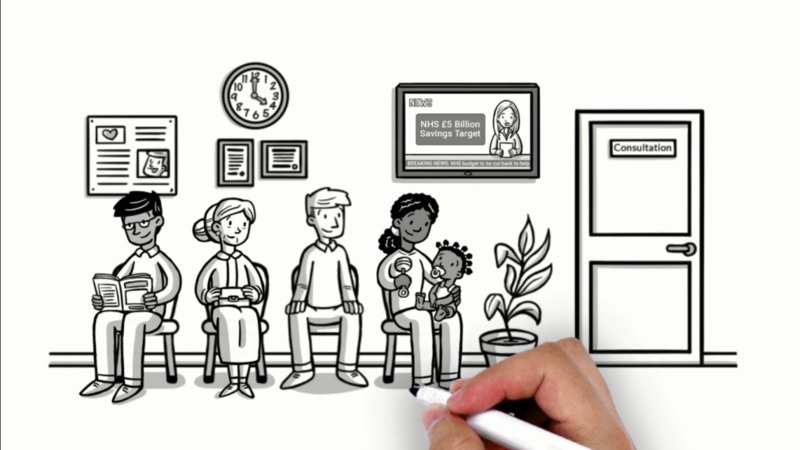 For B2C cases, whiteboard animations take advantage of their simplicity, cost effectiveness and fast production whilst still being able to benefit from relatable animated characters that will resonate with their customers. REGO is a software solution that aims to increase the efficiency of GPs patient referrals process to take the strain and cost away from the NHS. You can see the way that this video is taking advantage of the clean, presentation-like style of a whiteboard animation to get into the nitty gritty performance aspects of their solution. At the same time, it positions this dense, technical pitch alongside cartoony characters to retain a relatable, human angle. The end result is a professional, straightforward service explainer that still holds the attention of its viewers by being different from just another slideshow. Prestige Vehicle Buyer are a vehicle valuation and buying company whose service differentiates itself by offering a human element in their vehicle buying process. 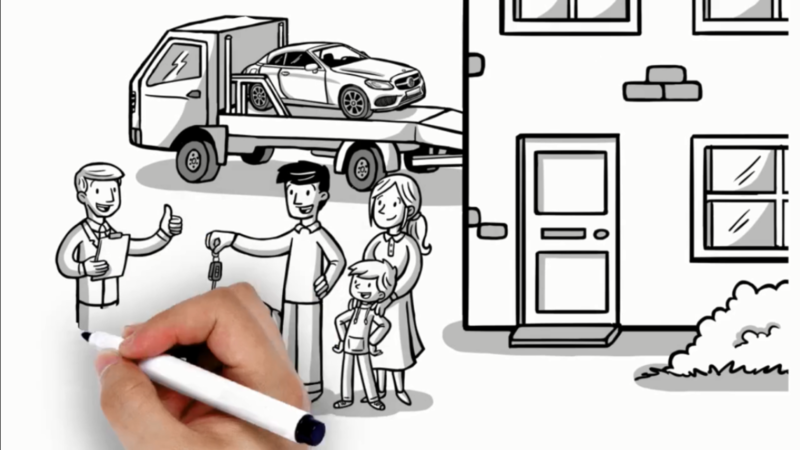 The aim of this B2C whiteboard animation is to tell a story that will resonate with a viewer who is thinking about selling their car. It emphasises the seamlessness of the process from start to finish with a series of simple scenes that plant the idea of an easily achieved step by step process. All ending with a happy user, of course! How do I make my own whiteboard animation? Sure, you could bust out the marker pens or invest in some software and a drawing tablet, but that’s probably not going to look very professional, is it? There are some great animation tutorials out there by talented creators but why take the risk when there’s a full service design and animation studio right here!? We’re a friendly bunch who have made all manner of award-winning animated videos for a range of businesses with various challenges. So give us a call and let us know what you want to achieve. We’ll bounce some great ideas back that’ll help you reach your goals.